Arla’s Icelandic-style skyr is a great source of go-to goodness. Made in Germany, it is fat free, high in protein and reduced sugar, making it perfect for breakfast or a snack during the day. Thick and deliciously creamy, Arla skyr is a great source of go-to goodness whether you’re enjoying it for breakfast or a satisfying snack throughout the day. High in protein and reduced in sugar, it’ll keep you full and sustained while you’re out there enjoying everything the world’s got to offer. So avoid that hunger dip and stay active with a bowl of Arla skyr. 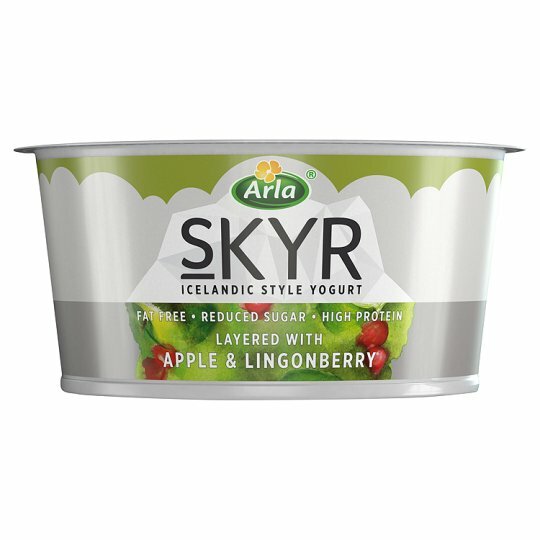 High in protein, low in fat and reduced in sugar, Arla skyr is made from all natural ingredients, making it a great way to give yourself a boost throughout the day. Available in the Icelandic flavours of Nordic Mixed Berry, Nordic Sour Cherry and Apple & Lingonberry, it’s a tasty snack that’ll help you stay satisfied. 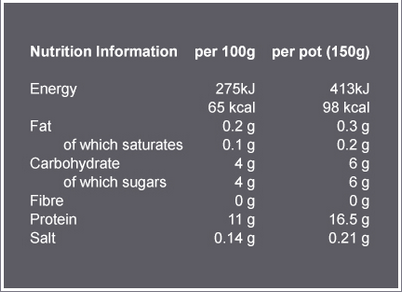 Energy 467kJ/110kcal, Fat 0.3g, of which saturates 0.1g, Carbohydrate 11.6g, of which sugars 10.8g, Protein 14.1g, Salt 0.24g. Like many Icelandic stories, Orri Sigurdsson's is one of extraordinary strength. No-one knows the secret behind this small island's greatness, but we do know they've been eating skyr for over a thousand years. Arla's dairy farmers, both the owner of the association and suppliers of the milk. In the cooperative form has the power under the principle: one member, one vote. We constantly strive to all our shareholders should be given sufficient information to be able to gain an understanding of, and influence important decisions.